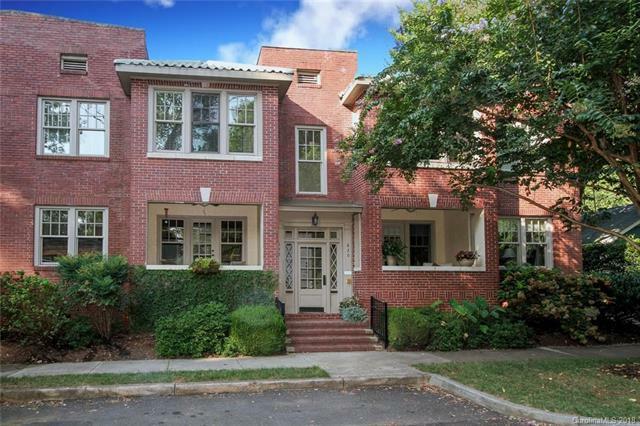 Spacious and charming two-story condo in Historic Dilworth! 10 minute drive to Uptown or 15 by bicycle, just steps to Latta Park. Totally renovated in 2004, the Park Kingston is comprised of four, up-scale homes. 2000+ sf, 9-foot ceilings, heavy moldings, gas fireplace, hardwood floors.Versatile floorpan includes an open concept kitchen/ dining area/den which leads onto a secluded courtyard, perfect for grilling. Living areas open onto a partially enclosed, raised front porch, perfect for relaxing before dinner. Two large bedrooms upstairs, each with private bath, are connected by a sizable landing area. The master opens onto a bright sunroom/study, perfect for morning coffee. Designated parking both in front and in the rear. Private storage closet plus shared basement storage. Easy walk to shopping, restaurants and nightlife in Dilworth and the South End.